This is a special powerful islamic dua for headache,wazifa for headache in Quran,ruqya to cure headache. Sar dard ke ilaj ke liye yeh behtareen islami wazifa hai. 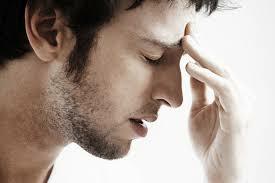 According to the study of researchers, Headache is the symptom of pain anywhere in the region of the head or neck. It occurs in migraines, tension-type headaches, and cluster headaches. Frequent headaches can affect relationships and employment. There is also an increased risk of depression in those with severe headaches. Headaches can occur as a result of many conditions whether serious or not. Causes of headaches may include fatigue, sleep deprivation, stress, the effects of medications, the effects of recreational drugs, viral infections, loud noises, common colds, head injury, rapid ingestion of a very cold food or beverage, and dental or sinus issues. Recite the above verse 7 times. Once again read Durood-e-Shareef 3 times. Blow it on your forehead. In sha Allah you will get relief from headache. Here we are sharing a powerful home remedy and dua for getting relief from headache. This islamic ruqya for headache cure is very beneficial in giving the expected results. The ingredients that we use are ginger and lemon juice. Take ginger powder and lemon juice in equal quantities. Mix them to create a paste. Recite the dua for 21 times. Blow it on the paste. Aksar logon mein sar dard ek aam beemari hai. Iske kayi asbaab hain. Kamzori, neend ki kami, fiqar karna, dawaayi ke asar, Shor o gul, sar par chot lagna, bohat thandi cheezon ka khana ya peena, daanton ke masail wagaira, yeh sar dard ke asbaab hain. Phir apne sar par dum karein. In sha ALLAH sar dard se shifa miljayegi.